Canon will announce several new models at an event the first week of February. Here’s a list of new Canon cameras to look out for in 2016 including EOS 1DX Mark II, 5D Mark IV, 80D and 150D. The latest Canon model for professionals and will start shipping in April and comes with a hefty price tag. The predecessor EOS 1D X was released almost four years ago and haven’t dropped much in price: it still sells for more than $7,300. Hence, you better save up if you’re planning to buy one. The Canon 1D X Mark II comes with a new processor technology. The resolution is 22 MP, a relatively modest increase compared to 18MP for the current model, but in-line with expectations. It records 15 fps in 4K video, has a slightly larger LCD display than its predecessor and CFast storage. The successor to the very popular EOS 5D Mark III, which has consistently ranked among the top 10 most popular cameras in New Zealand the last two years. The 5D Mark IV is rumoured to be announced in March-April, with a launch in the second half of 2016. It will have a 28 MP sensor, record in 4K with 9 fps. The touchable LCD screen will delight a lot of Canon aficionados as this has been a highly-requested feature. The EOS 70D is still going strong after three years, but Canon is already putting the finishing touches on its successor, the EOS 80D model. Canon’s product development cycle replaces older xxD models with newer ones every three years. It’s rumoured that EOS 80D will shoot photos with 24 MP resolution, a large increase from the current 20 MP. Other leaked specs indicate a more advanced AF system. The small SLR replacement to the EOS 100D. It will likely come with a 24 MP resolution and a DIGIC 6 image processor. Wifi connectivity enables easy sharing photos and recordings. 2016 will be an interesting year for camera lovers in general, and Canon fans in particular. Canon is apparently also working on a 360-degree camera capable of capturing 360 spherical photos and videos similar to Ricoh Theta. The competition is in the industry is poised to get stiffer with Nikon recently introducing the new high-end Nikon D5, a direct competitor to EOS 1D X Mark II. We recently also reported about new actions cameras that will debut in 2016. 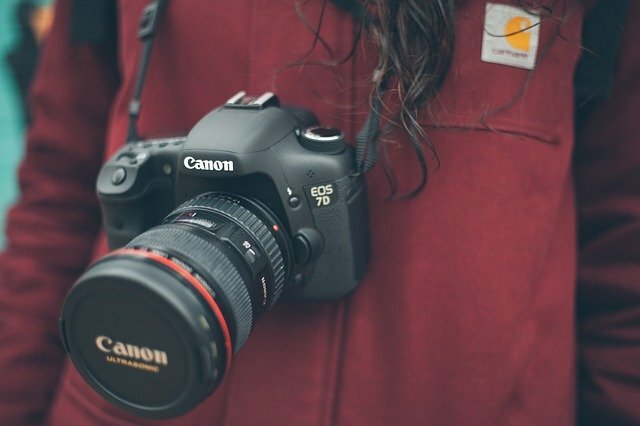 Action cameras and video cameras constitute a threat to the established camera industry, especially among younger consumers that seek cameras that fit their active lifestyle.